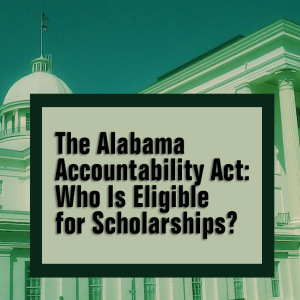 Alabama School Connection » The Alabama Accountability Act: Who Is Eligible for Scholarships? UPDATE: Changes were made to the AAA in June 2015. This post has not been updated. 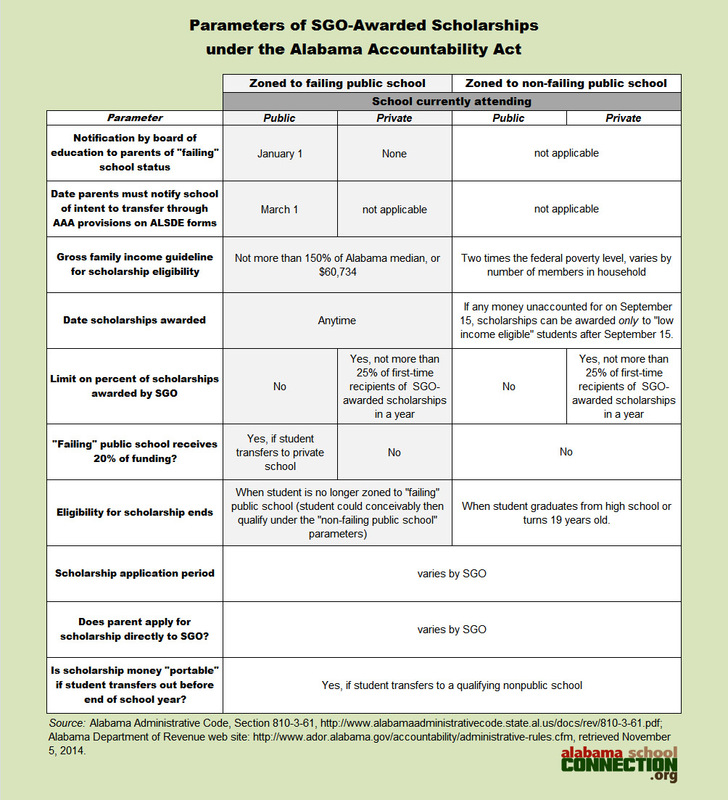 The Alabama Accountability Act (AAA) of 2013 provides eligible students needing money to change schools the opportunity to apply for and receive scholarship money through Scholarship Granting Organizations (SGOs). 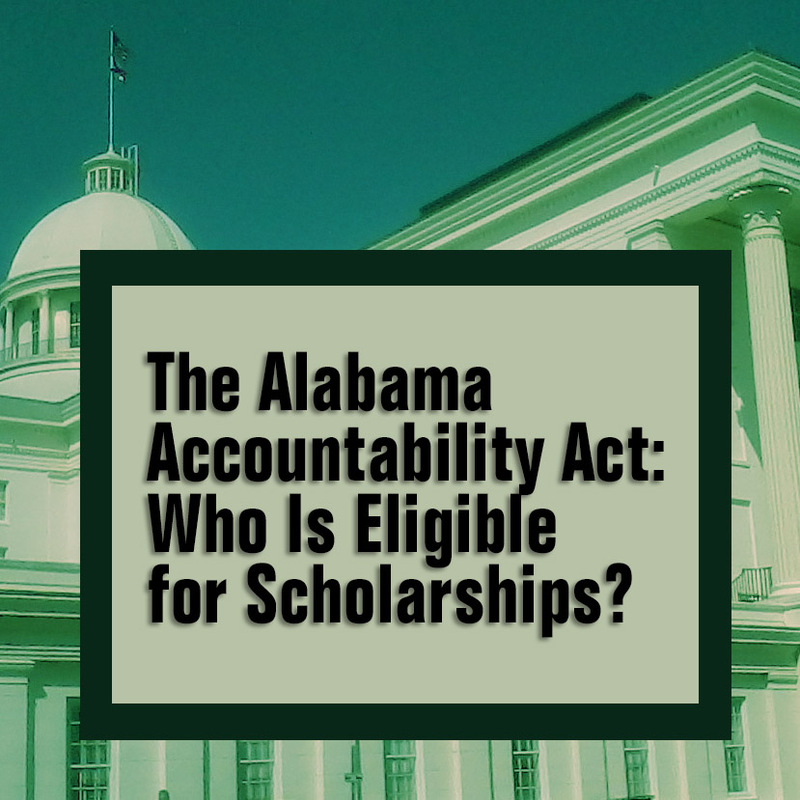 Many questions have arisen about these scholarships, particularly after the Alabama Department of Revenue (ADOR) released the required public report showing SGOs had awarded only nine scholarships during the 2013 calendar year, even though nearly $25 million in donations, and the subsequent tax credits, were accounted for during the 2013 calendar year. SGOs claim that the reason for the low number of scholarships awarded is simply because of the short time frame between when ADOR finalized the rules for awarding scholarships (September 27, 2013) and the end of the calendar year. The Alabama Opportunity Scholarship Fund claims it has awarded nearly 1,500 scholarships to students zoned for “failing” public schools for the 2014-2015 school year. The list of “failing” schools determines which students receive priority for scholarship awards. There are 76 schools on the list for the 2014-2015 school year. The new list of “failing” schools, to be effective for the 2015-2016 school year, was supposed to have been produced and posted on the ALSDE’s web site prior to November 1, according to Section 290-4-1-.04(1) of the Alabama Administrative Code. I inquired about the list on Wednesday of this week, but have not yet received a response as to when the list will be produced. I will keep you posted. 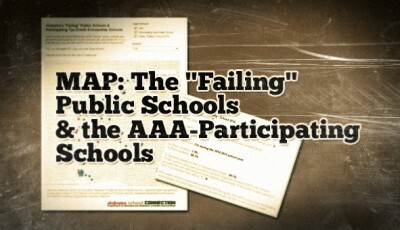 There are two ways tax credits are awarded under the AAA: (1) through donations to SGOs (corporations and individual taxpayers can claim the credits), and (2) through parents’ claims of expenditures they incurred as a result of moving their child out of a “failing” public school. It is those tax credits that some claim have taken money out of Alabama’s public school classrooms. The argument is that the money set aside for tax credits reduced overall income tax revenue, which would have gone into the Education Trust Fund (ETF) to be allocated for schools. Lawmakers claimed that the $40 million ($25 million for SGO donations and $15 million for parent tax credits) reserved for tax credits in FY14 would not have been distributed to schools anyway, as it would have been used to pay back the Alabama Trust Fund Rainy Day Account that was emptied to avoid proration during the most recent recession. Parent tax credits have nothing to do with scholarships from SGOs. The legislature set aside $15 million for parents to claim tax credits. However, for the 2013 tax year, a little more than $100,000 of tax credits were awarded to 59 parents claiming expenditures for moving their child out of a “failing” public school. The plans for the remaining $14.9 million that was set aside are unclear. Here’s an article written in July about SGOs, while this information is presented to better delineate which students are actually eligible for scholarships from SGOs. Eligibility for these scholarships depends upon whether a student is zoned to a “failing” public school, or attending a private school, or meets “low-income” guidelines or…..well, there are lots of levers and gates through which students and families must pass before scholarship money can be awarded. Those levers and gates are depicted in the chart below. As you can see, the parameters governing who is eligible, when the scholarship is awarded, and how long the student is eligible for a scholarship are multi-layered. I fully expect to see more school choice bills introduced in the 2015 legislative session. We the public, need to get very familiar with what is already in place in order to engage in the inevitable discussion about what kind of school choice, if any, can best provide improved educational opportunities for Alabama’s children.